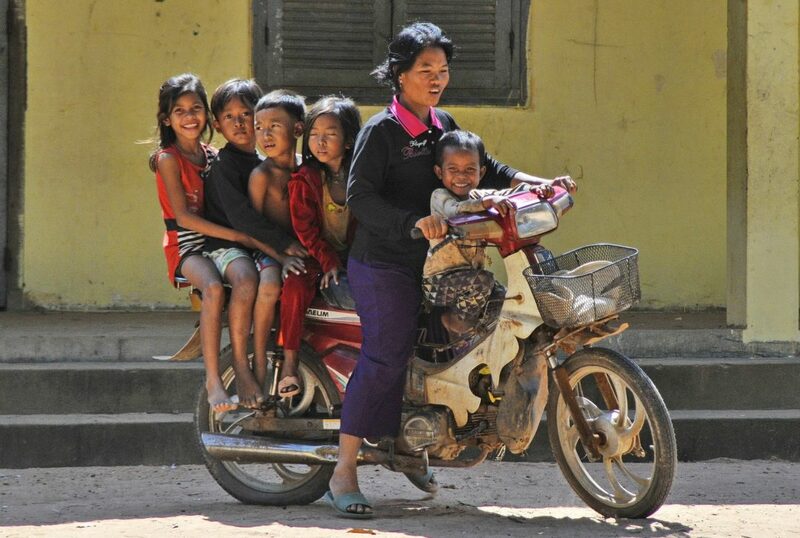 This exciting 1-week Cambodia tour, Highlights of Cambodia, is in an overland adventure through this fascinating and still little-known country. 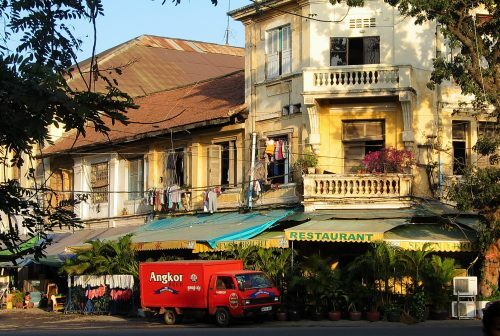 We” begin in the hectic yet charming riverside capital of Phnom Penh, where we’ll take in some of the city’s famous sites as well as its vibrant street-life, local markets and lesser-seen back streets. 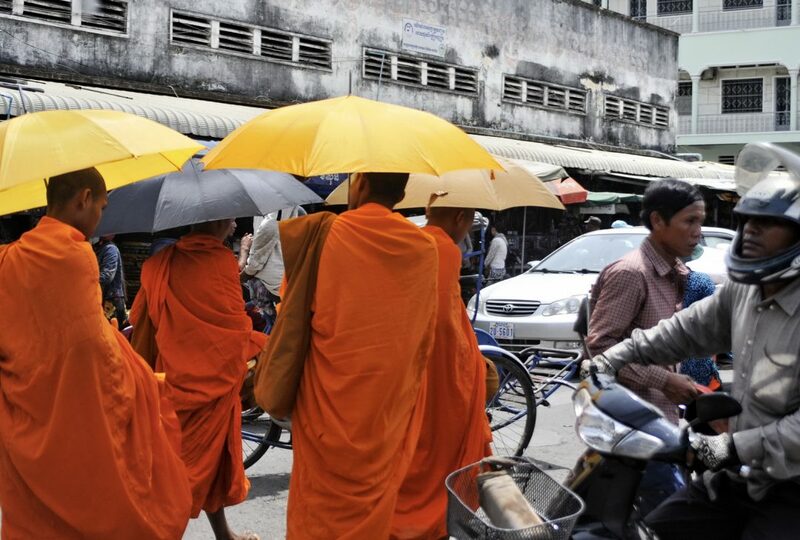 From here we travel up-country through picturesque landscapes, traditional villages, and timeless rural scenes to the mysterious and dramatic jungle-clad temples of Angkor itself. 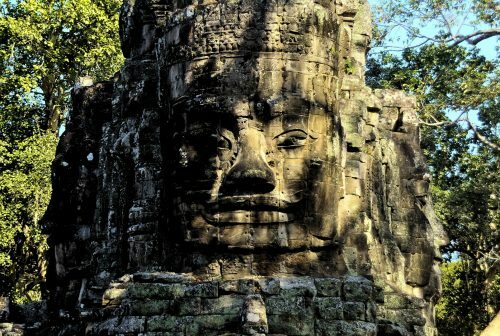 Our Angkor programme is spread over 4 days, allowing for a comprehensive but leisurely-paced visit to this spectacular World Heritage destination. 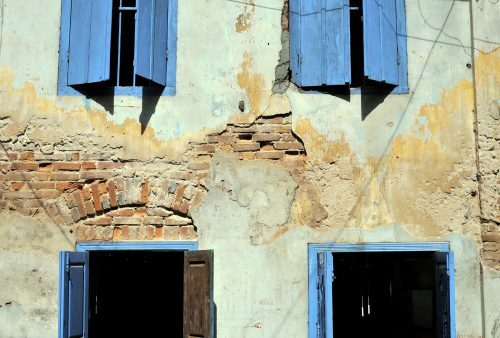 Plenty of free time also allows opportunities to sample Siem Reap’s lively markets, cafes and restaurants. We’ll try, to the best of our abilities, to get you to the right temples at the right time and avoid as much as possible crowds and the midday heat. 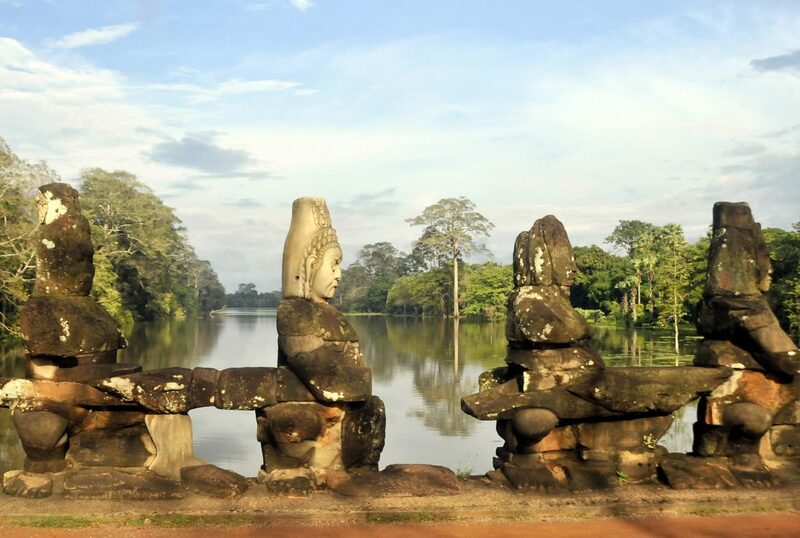 You’re probably only going to visit Angkor once in your life so you may as well do it properly! 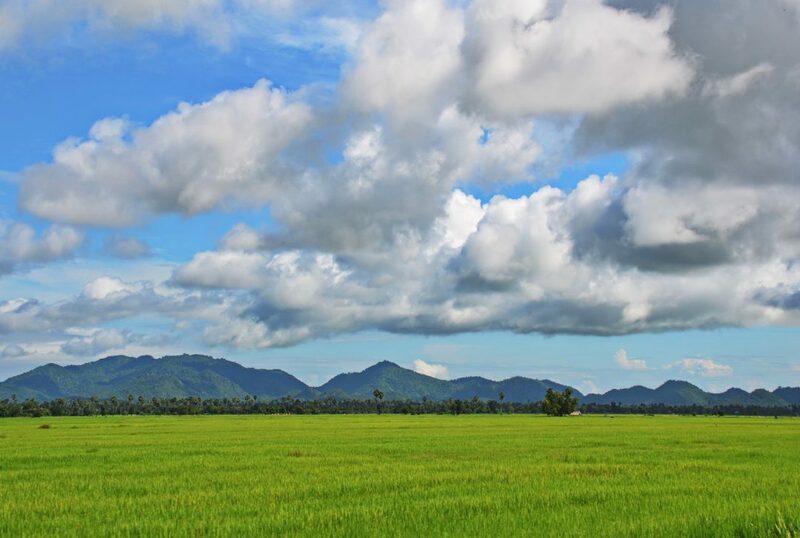 For those with more time, a slightly longer version of this tour – Cambodia Overland – is available including a boat journey up the scenic Sangkar River to Battambang and a return by road to Phnom Penh. 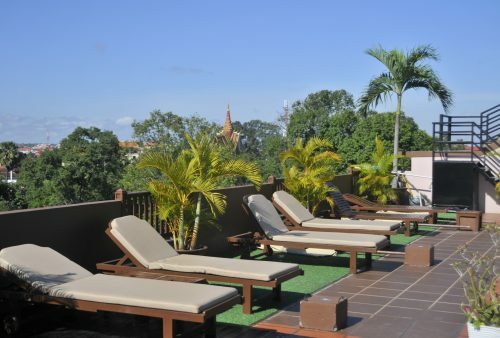 Arrival in Cambodia’s bustling capital and check-in to a small, boutique-style downtown hotel. Some relaxation time before a leisurely introductory walking tour, including the historic French Quarter, a local market and the lively waterfront area. Get a first-hand feel for the vibrant street-life before sundowners at the famous FCC (Foreign Correspondents Club)? 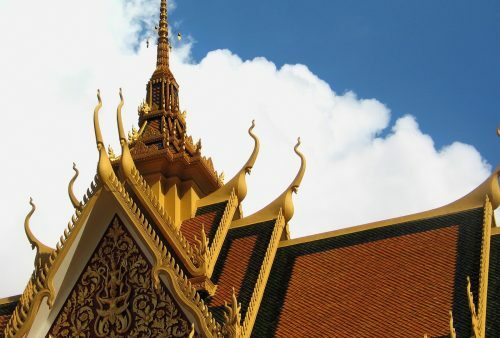 Tour of some of the sites of the fascinating capital, Phnom Penh: the infamous Killing Fields and S21, the highly moving Genocide Museum and the picturesque Royal Palace and Silver Pagoda for some photo opportunities. A mid-day visit to the Russian Market provides some ‘retail therapy’ and the opportunity for a local style lunch. 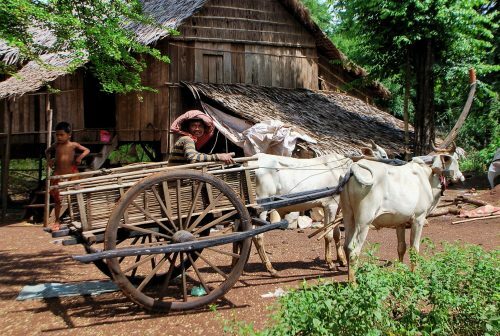 Journey up-country through Cambodia’s scenic countryside to the provincial town of Siem Reap in northwestern Cambodia – our base for the nearby temples of Angkor. 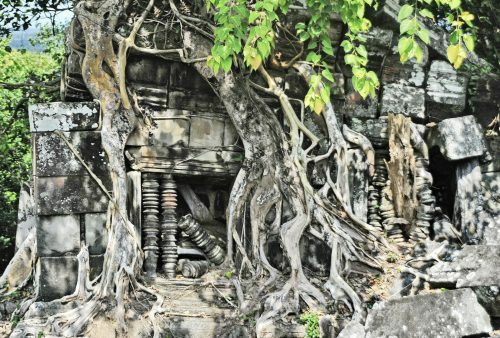 Visits en route include the famous (or rather, infamous), ‘spider village’ of Skuon, (tasting not compulsory), and a rarely visited 11th-century temple. Lunch will be beside a picturesque lake. A sunset visit to the Prei Rup Temple at Angkor completes our day. Dawn at Angkor Wat, followed by a morning tour of the vast temple itself. 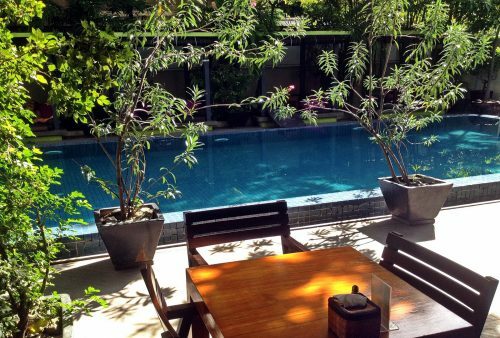 Return to our hotel to escape the midday heat with siesta, spa, market or just relaxing by the pool time. 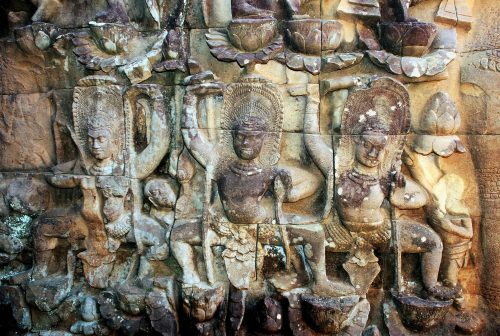 In the afternoon we’ll visit the ruined city of Angkor Tom including, the Leper King & Elephant Terraces, Phimeanakas, Baphuon, and last but not least, the dramatic Bayon Temple with its famous faces. Today’s Angkor visit begins with the spectacular hill-top Phnom Bakheng Temple followed by the jungle-clad ruin of Preah Khan. 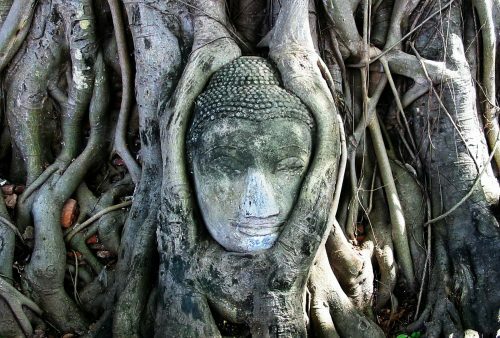 Enormous roots, towering trees and screeching parakeets make this atmospheric temple one of everyone’s favourites. 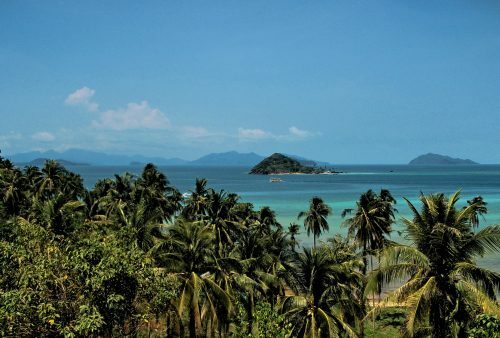 After a break, we’ll take a short hike to Ta Keo via the remote and rarely visited Ta Nei Temple. 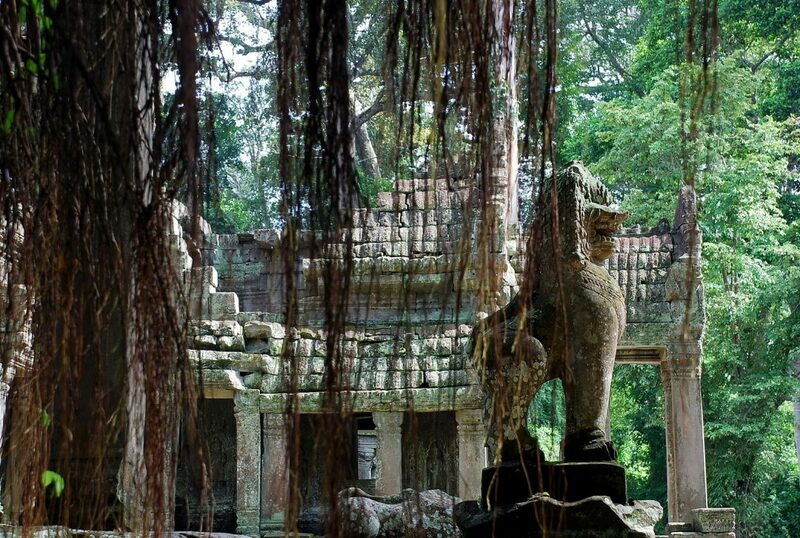 Ta Prom – the famous ‘Tomb Raider’ Temple – continues the jungle theme and concludes the day’s visit. Early morning drive to spectacular Beng Melea, one of the remoter and less visited sites. 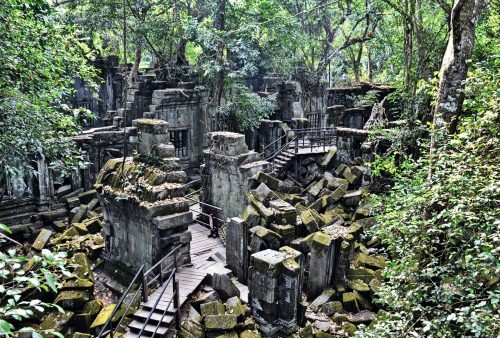 This huge, partially ruined temple complex, overgrown by jungle, lying to the west of Siem Reap, is one of the most impressive Angkor monuments. 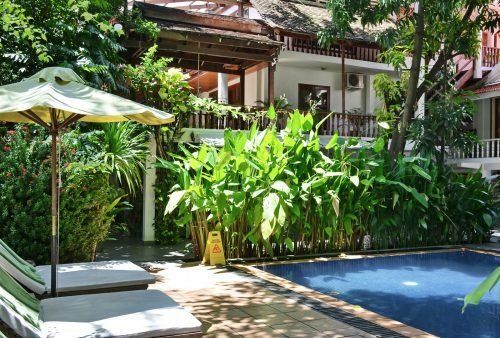 Return to Siem Reap by way perhaps of an optional visit to the fascinating Apopo Centre with an afternoon free to relax by the pool, maybe visit the National Museum or even try an optional Khmer cookery lesson? Morning at leisure; some last minute shopping in the street markets or a final massage at the hotel’s spa and end of tour. 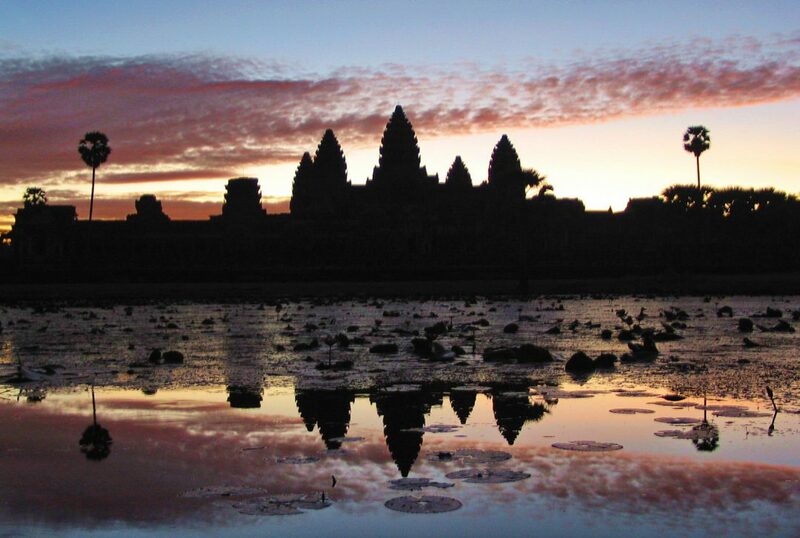 Extra nights in Siem Reap after your tour are available on request. Your passport should be valid for a minimum period of 6 months from the date of entry into Cambodia. You may be refused entry if your passport is damaged, is in poor condition or does not have at least 2 blank pages left. Meals: breakfasts are generally hotel buffets with lunch and dinners based on local food. Lunches on the road are typically simpler dishes such as noodles or fried rice variations while in the evening your tour-leader will generally order more elaborate dinners consisting of a selection of local fare. 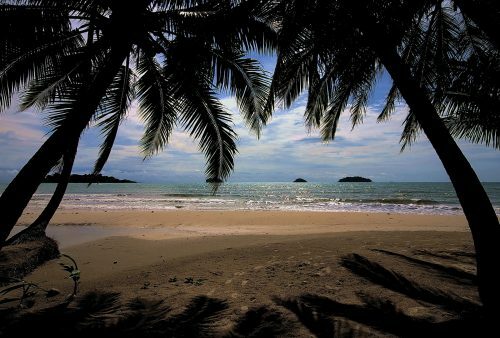 The cuisine shows both Thai and Vietnamese influences though with plenty of unique dishes too.
" I travelled in low season and although it was hot and humid, I'm so glad I chose April as I got to see everything without the crowds. friendly and not in your face! " " All the arrangements worked impeccably and we always had confidence in your people, right from initial enquiry through to the driver and guides in Cambodia. The hotels were both great, though obviously very different from each other, which we liked a lot. Both guides were fine...and our driver was skilled, careful and unflappable, and helped us to be so too. A great experience, and we’d gladly recommend you. Thank you all. " " All Points East seems to have designed their itinerary very cleverly. The pacing was just right all the way through. We saw and did a lot without feeling rushed. In particular, we seemed to see everything at the right time, maximising the relative cool of early mornings and late afternoons and yet avoiding many of the crowds and queues.